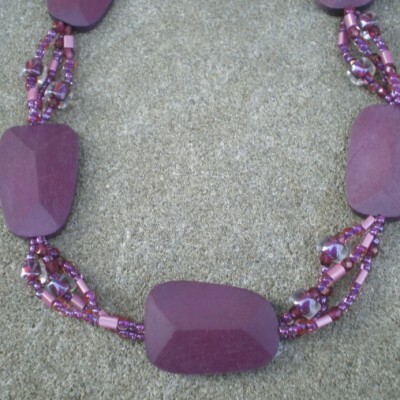 15″ handmade beaded choker. 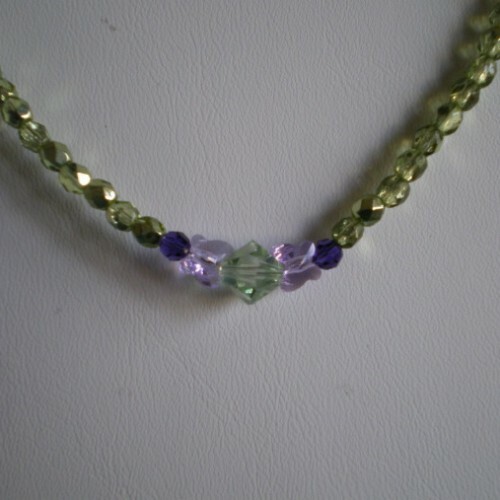 8mm peridot color bicone swarovski crystal,swarovski crystal lavender butterflies,4mm swarovski crystal round violet beads as center accent. 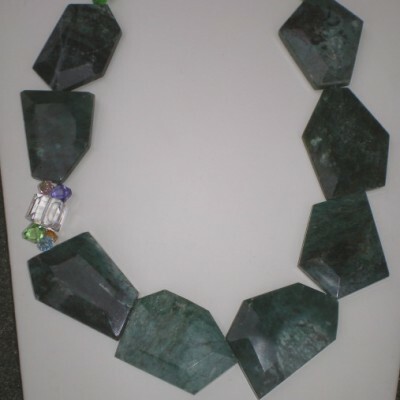 Green 4mm faceted fire polished czech beads. 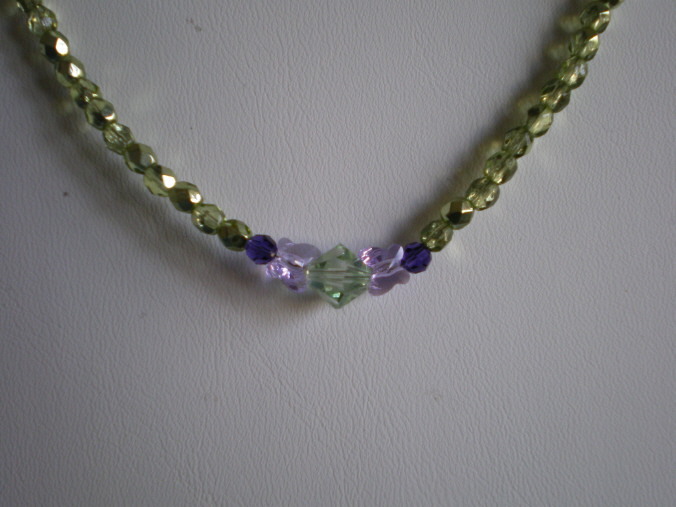 2 light lavender swarovski beads. Matching earrings w/ sterling silver lever backs. Also matching 7″ bracelet w/8mm swarovski crystals and butterflies. Twisted sterling silver toggle clasp. Stunning set w/lots of shine and glitter. 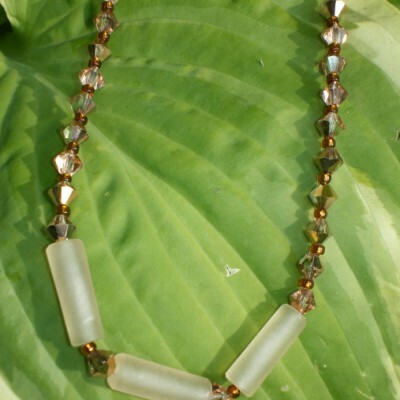 Be the first to review “15″ handmade beaded choker 8mm peridot bicone swarovski crystal” Click here to cancel reply.